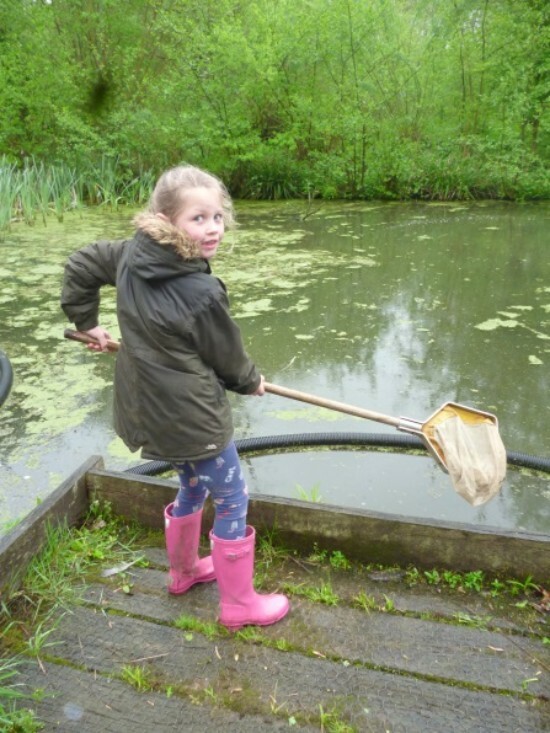 This week Year 2 headed off for the wilds of Godstone to visit Bay Pond Nature Reserve as part of their current Science studies about living organisms and their habitats. Despite experiencing ‘fine weather for ducks’ during their visit on Wednesday, 2YdV and 2ST showed resilience and pressed on through the drizzle to find an abundance of woodlice, beetles and creatures that love the damp wetness of a typical English spring say. Meanwhile 2CW and 2LB benefited from warmth and sunshine which enticed out a wide variety of pond creatures including several newts, caddisfly larvae, water boatmen and pond skaters to name but a few. The added bonus for some was the opportunity to meet a young male hedgehog who had been rescued from the wild and weighed in at a hefty kilogram. The children returned to school armed with their own toy hedgehog and a challenge to participate in The Wildlife Trust’s 30 Days Wild Challenge which involves undertaking an outdoors activity (no matter how small eg to roll down a hill or how big eg to build an outdoor shelter) during every day of the month of June. The Year 2 teachers look forward to planning some wild outdoor opportunities around the school and also to hearing about the whacky and wonderful activities the children get up to at home! https://www.surreywildlifetrust.org/record. This will enable the Trust to better support the survival of hedgehogs in our local area.